Our pure, gentle daily shampoo-with Morikue™ protein-cleanses and fortifies any type of hair. Infusing it with one of Aveda’s original aromas: a calming mix of 25 pure flower and plant essences. 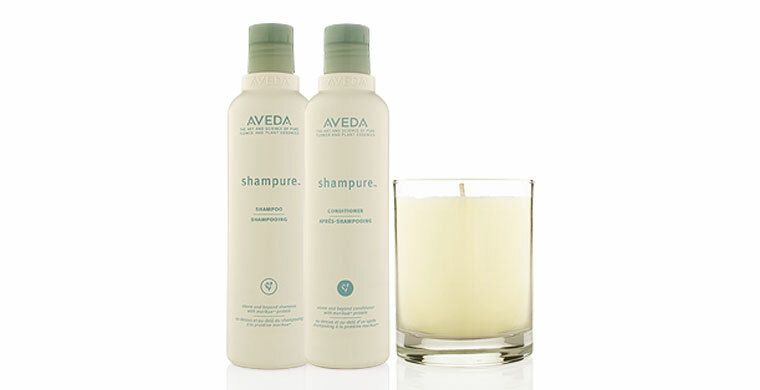 shampure™ conditioner provides daily protection from environmental stress and damage. Our formula-with Morikue™ protein-leaves hair healthy-looking, infusing it with a calming mix of 25 pure flower and plant essences.